We have another ruling in a hunting accident case. I have previously written columns and blogs about the different treatment generally afforded to killings committed by hunters. In Salem, Oregon, Eugene Collier, 68, was acquitted of manslaughter in the killing of Marine reservist Christopher Ochoa, 20, after mistaking him for a bear. We previously discussed the case. The jury only took two hours to acquit Collier. Collier was with his 12-year-old grandson when he shot at what he thought was a bear and killed Ochoa with a .270-caliber bullet. Prosecutors insisted that Collier acted recklessly and disregarded the obvious risks of such a shot. He was accused of not taking more time to observe the target. The men were trespassing at the time that Ochoa was shot, but prosecutors insisted that Collier should have considered that possibility that the target was not a bear. Collier had taken Vicodin, a drug for pain, the night before. It is common in hunting areas for juries to be sympathetic to hunters in such cases. 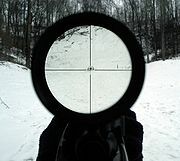 Oregon Code Section 163.118 defines manslaughter in the first degree as an act “committed recklessly under circumstances manifesting extreme indifference to the value of human life.” Jurors appear reluctant to declare a hunter reckless in taking a shot without spending longer to confirm the target. Consider Maine hunter Donald Rogerson. Mistaking a 37-year-old housewife for a white-tailed deer, Rogerson shot and killed her. Locals insisted that the victim (who had recently moved from Iowa) was to blame because she was wearing white mittens during deer season. And a Bangor, Maine, jury cleared him of manslaughter. The family now has the option to sue Collier for wrongful death in tort under the lower standard of proof, though we have been the same sympathetic approach of juries in civil cases in hunting areas. The jury clearly did not believe it was reckless not to confirm that it was a bear that you are shooting at rather than a blur. Clearly Collier did not see a bear but a hiker. Yet, that was found not to be reckless. What do you think? Agree with Blouise’s and Roger Campbell’s statements about the gun culture. It’s the right verdict in America. As long people get to have all the guns and ammo they want, the death of the other person is irrelevant, unavoidable, couldn’t be helped, just another accident. Just one more gun death. No big deal. Just an oops! Oh well. This is one of those unfortunate situations…. That seems to me… The way family gets rid of undesirable relatives…. This is the second time I’ve tried posting, but the first went into “moderation” because it contained a few links. Why doesn’t anyone ever check for or approve such posts? Some might try to blame the dead guy for not wearing fluorescent colours in a hunting area. But one can easily find cases where idiots shoot at anything that moves. Some shoot at people wearing bright yellow or orange despite the blatantly obvious fact that no mammals have fluorescent fur or feathers, and few insects and amphibians do. In a quick search, I found literally dozens of news items about people being injured or killed by idiots firing at anything moving in front of them. One was from 1975 (45 people shot while wearing bright red), one from 1995 (13 shot while wearing fluorescent colours), one from 2004 (several people shot despite fluorescent clothes being mandatory), etc. It’s safer to wear bright colours, but I’d bet the farm there are people who report being shot at or they were killed because they were visible to an idiot with a gun. Deer can’t see most fluorescent colours, and deer don’t wear them, yet there are still plenty of morons with guns who can’t grasp that concept. Camouflage only confuses humans, not animals. Yes, I had a link for that too, but again I don’t want my post blocked. If the bears were armed we would have less of this carnage. Dont forget that the Framers of the Second Amendment were dyslexic and meant to say: the right to arm bears… NOT the right to bear arms. No guarantee a judge would be any more “fair” in this situation. it’s called “buck fever”. when some go hunting they want to get a buck (or bear in this instance) so bad almost anything will look to them like the prize. if you go in the woods during hunting season, wear orange. singing also helps. I am not convinced that the jury system is the best system of determining justice in the world and this case is an example of why I think that. This perpetrator had a jury of his peers, where was the jury made up of the bear impersonator’s peers? People justify the jury system as being based on the common sense of the community members thinking that common sense is actually a good thing. I disagree, consider where in the brain the neural networks encoding racism, misogyny and homophobia reside. They do not fall under the rubric prejudices and irrational beliefs but under that of common sense and other unquestionable truths. If a justice system is to use juries it also needs some mechanism to help jurors overcome their cognitive distortions that come from their relying on their common sense. One should also consider whether the jury should be of the victims peers rather than those of the perpetrator. Bron, I learned to wear blaze orange after one trip into the woods. I have a bike trail near my house that goes through public hunting grounds. I bought blaze orange for my 2 dogs just for when we were walking. The week of deer season in Wi. is like a holiday week. It’s wrapped around Thanksgiving which pisses off many wives. However, I see more and more women hunting in the 30 years I’ve lived in Wi. I am not sure the victim was trespassing. The source article only said he was on the edge of the property. Does that mean on the edge outside of the shooter’s property, or just inside the line? I agree with your take on how a jury might look at it, but doesn’t the shooter have a duty to make sure he is shooting a bear and not a human? did you wear pampers and carry kando flusable wipes? Blaze orange would have done the trick. If you are a non-hunter do not go in the woods during hunting season or wear blaze orange, a lot of it. Although I still think the guy should do some time and lose his license to hunt. ” In Salem, Oregon, Eugene Collier, 68, was acquitted of manslaughter in the killing of Marine reservist Christopher Ochoa, 20, after mistaking him for a bear. We previously discussed the case. Not agreeing with it just analyzing what I see out there in the American jury pool psyche. When I did surveillance of deer hunters in Wi. I was always scared shitless of getting shot. Interesting that South Africa, which is bringing Oscar Pistorius to trial for shooting his girlfriend, doesn’t use a jury but relies upon the determination of the judge, ostensibly to eliminate emotional bias of a jury. While I’m not crazy about that system in general, there are times when it could provide a more just verdict. If you shoot a human even accidentally, there should be some legal ramifications. LAPD shooting up a truck without confirming it is Dorner or this, it seems you can’t get punished at all for your shooting screwups. A woman hunter in Wisconsin accidentally mistook a young moose for a deer and killed it. She reported it to the DNR. The moose had made its way into the area from the upper peninsula but wasn’t native to the area. At first, the DNR said no problem. Then they did a turn around and fined her thousands of dollars and took away her hunting privileges for several years. This was for accidentally killing an animal. Seems there should be some punishment for killing a human. The internet is a wonderful thing. The case I mentioned, attorney Martin Dillon was killed by Dr. Stephen Scher. Dillon’s death was ruled accidental at the time. Within 2 years Scher was divorced and remarried to Dillon’s widow. Dillon’s family eventually hired a crime scene reconstruction expert who provided enough evidence for Dillon to be exhumed. A new autopsy determined that Dillon couldn’t have shot himself as Scher had claimed. 20 years after the event Scher was found guilty and sentenced to life in prison. There was a successful appeal that Scher’s rights were violated by the length of time between the deed and the arrest. That was overturned. Dillon’s widow/Scher’s wife was convicted of perjury in claiming that she wasn’t having an affair with Scher at the time. She got probation and community service. Scher is serving life in prison.